The section 11(b) right of the Canadian Charter of Rights and Freedoms is a pillar of Canadian criminal proceedings, and is rightly framed as a matter of great importance. It states that “any person charged with an offence has the right to be tried within a reasonable time”. The new Jordan framework implemented in July 2016 is an attempt to correct the growing complacency and inherent delays of moving a matter to trial in the Canadian criminal justice system. Criminal proceedings that are stayed due to excessive delay are often characterized by the public and the media as gross miscarriages of justice, because the accused does not even have to undergo a trial. Defence lawyers and the accused often face a lot of anger and criticism, because the public believes a criminal is walking free due to a legal technicality. This is made even worse when the charges are serious and it seems very likely that the accused is guilty. However, while the criminal justice system is indeed to blame in these instances, the Charter right is not at fault. The Charter goes on to guarantee in section 11(d) that “any person charged with an offence has the right to be presumed innocent until proven guilty according to law in a fair and public hearing by an independent and impartial tribunal”. Accused persons are deeply affected by criminal proceedings, and extremely lengthy delays are often detrimental to these people who are rightly presumed innocent. Indeed, every member of society and the justice system, including the accused and the victim, has an interest in pursuing timely justice and moving criminal proceedings to trial quickly. The Charter 11(b) right benefits the Canadian public, and efforts should be made to satisfy its requirements, rather than criticizing the right itself. Therefore, the means by which the criminal justice system responds to criminal charges, and the framework it uses to determine what is a ‘reasonable time’ to wait for trial are crucial to its integrity. In July 2016, the Supreme Court of Canada established a new framework in R. v. Jordan — one that clarifies some misunderstandings around delay and strikes closer to the heart of the 11(b) right, and one that is easier to administer and to determine whether the accused’s rights have been breached. The Morin framework for applying s. 11(b) has given rise to both doctrinal and practical problems, contributing to a culture of delay and complacency towards it. Doctrinally, the Morin framework is too unpredictable, too confusing, and too complex. It has itself become a burden on already over‑burdened trial courts. Our system has come to tolerate excessive delays, and has turned the 11(b) right into something “highly unpredictable… something of a dice roll”, and has led to the proliferation of lengthy and complex applications. This approach is a slight reorientation of the Morin framework because the focus is more explicitly on the period of delay which exceeds what would have been reasonable. But there is no change in principle. Jordan is merely intended as a much-needed shift in culture: “In creating incentives for both sides, it seeks to enhance accountability by fostering proactive, preventative problem solving.” Morin was a good starting point for ensuring that the right to a trial within a reasonable time is upheld. Rights based on principles such as ‘reasonableness’, however, must be reinterpreted periodically to ensure that what is reasonable is in line with our society and our justice system. As such, the Jordan decision is an apt and a practical update to existing law in order to protect the Charter rights of all Canadians. The presumptive ceiling is set at 18 months for cases going to trial in the provincial court, and at 30 months for cases going to trial in the superior court (or cases going to trial in the provincial court after a preliminary inquiry). If the total delay from the charge to the actual or anticipated end of trial (minus defence delay) exceeds the ceiling, then the delay is presumptively unreasonable. To rebut this presumption, the Crown must establish the presence of exceptional circumstances. If it cannot, the delay is unreasonable and a stay will follow. delay caused solely by the conduct of the defence. This kind of defence delay comprises “those situations where the accused’s acts either directly caused the delay . . . or the acts of the accused are shown to be a deliberate and calculated tactic employed to delay the trial” (Askov, at pp. 1227-28). To be clear, defence actions legitimately taken to respond to the charges fall outside the ambit of defence delay. Again, this new approach is intended to implement a clear standard to which the justice system is held accountable. Jordan gives clear instructions for how to determine whether delay is reasonable. 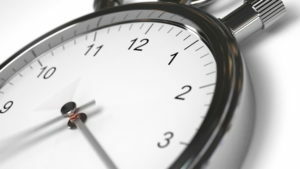 For cases in which the delay exceeds the ceiling, a transitional exceptional circumstance may arise where the charges were brought prior to the release of this decision. This transitional exceptional circumstance will apply when the Crown satisfies the court that the time the case has taken is justified based on the parties’ reasonable reliance on the law as it previously existed. This requires a contextual assessment, sensitive to the manner in which the previous framework was applied, and the fact that the parties’ behaviour cannot be judged strictly, against a standard of which they had no notice. In the very short term, the Jordan framework for assessing delay increased the complexity of 11(b) applications, as counsel and the Court now need to measure their actions against two standards during this transitional period. However, it was a much-needed legal alteration, which should in the long run improve public access to justice. An efficient criminal justice system is therefore of utmost importance. The ability to provide fair trials within a reasonable time is an indicator of the health and proper functioning of the system itself. The stakes are indisputably high. 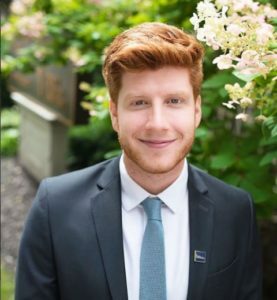 Mason Geddes is an undergraduate student who is in his fourth year of a Political Studies degree at Trinity Western University. He recently completed an internship with Grenier Law Office as part of the Laurentian Leadership Program in Ottawa. He is passionate about justice and human rights, and intends to attend law school in 2019. He currently lives with his wife Danielle in Chilliwack, British Columbia.